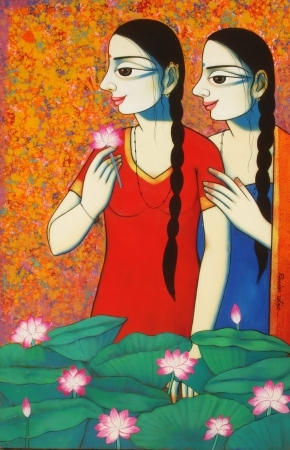 Born in 1978, Pravin Utge completed his G.D. in drawing and painting at Bharati Kala Mahavidyalay, Pune, in 2002. 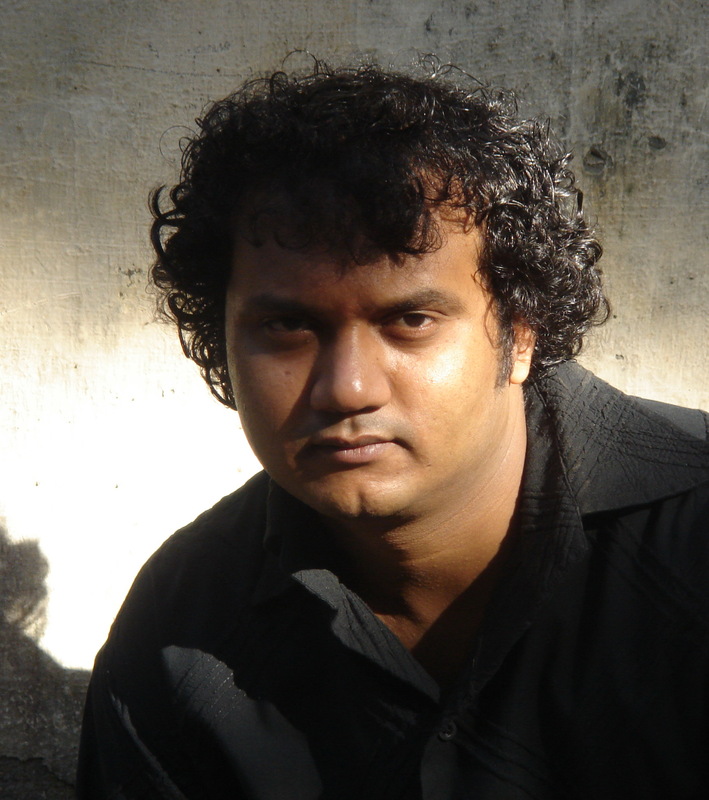 Following which, he received a Diploma in Art Education from the same institution in 2003. Utge has participated in a number of group exhibitions, the most recent being those held at Vinayasa Gallery, Chennai, in 2005; Birla Art Gallery, Mumbai, in 2004 and 2003; Bombay Art Society, Mumbai, in 2004 and 2002; South Central Zone, Nagpur, in 2001; State Art of Maharashtra, Mumbai, and Annual Art Exhibitions, Latur, Maharashtra, both in 1999. 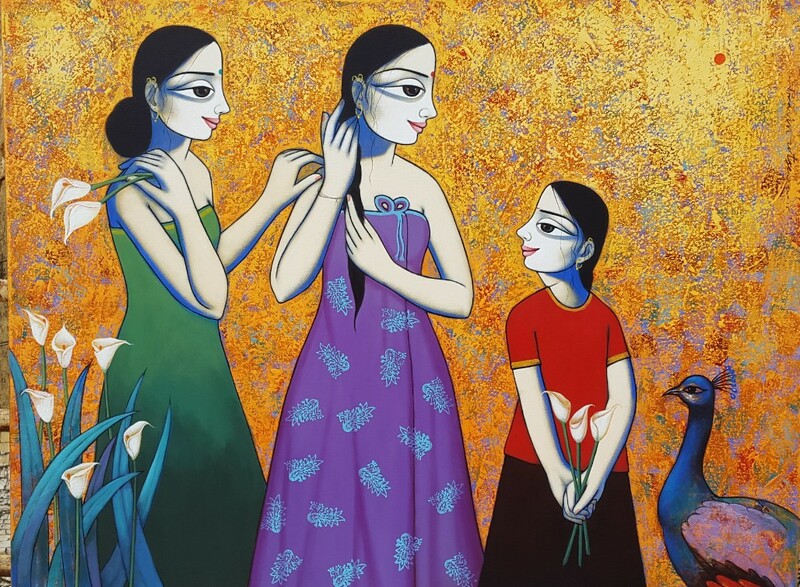 Pravin Utge’s paintings are proof that no matter how much the use of modern technology and diverse visual arts genres such as graphic design, photography and videography are growing in popularity, the traditional use of canvas and paint will never loose its charm. Utge maneuvers his brush to give voice to his figurative vocabulary that draws from the Rajasthani miniature tradition, portraying dreamy figures in poetic surroundings. The woman, to Utge, symbolizes ‘plenty’; her abundance can easily be recognized in his preference to render her in the various forms of generous Hindu Goddesses such as Saraswati and Lakshmi. The elongated, half-opened eyes of these iconic figures, like just-opened buds of elegant flowers, bring a meditative quality to his paintings. Utge’s choice of colours is equally expressive. The soft supple skin of his subjects varies from a pale pink to a light brown, while his backgrounds are rendered in vivid jewel-tones. Utge’s potent imagery, together with his effectively chosen palette, offers his viewers compositions that are energetic yet sensitive.